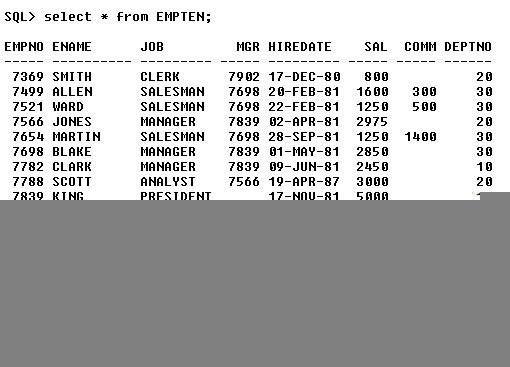 Create a new table EMPTEN same as standard EMP Table. 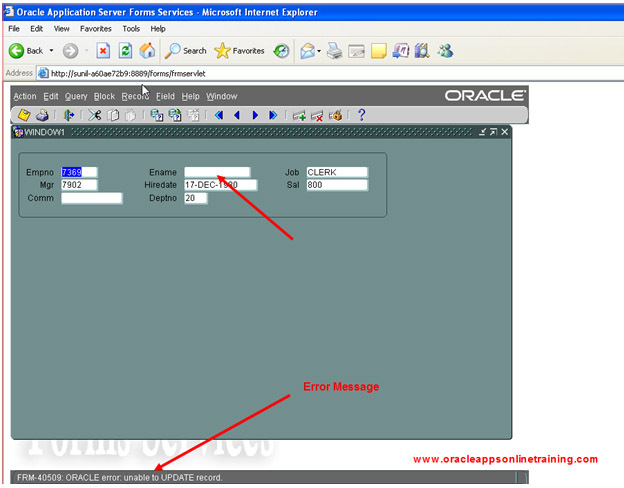 Create a new form based on table EMPTEN by using Data block wizard and layout wizard. Remove the ename and try to save the record, we get the error. The database trigger (trig1 ) which we have created is stopping the record to be updated. 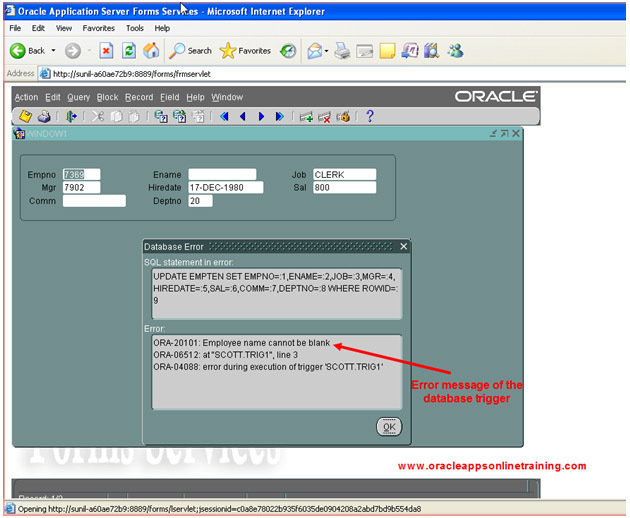 Help Display error is used to look at the error messages of the trigger.